The Salzburg Marathon is a marathon in Salzburg, Austria. Held every year since 2004, organized by Club Run Austria. The program also includes a half marathon that has been held since 2001, a 10 km run, the "Get active" junior marathon and other competitions. Enjoy a special marathon-feeling while passing many of the best known sights of Mozart's hometown! The beautiful course is absolutely flat and certified by IAAF/AIMS. To compete in the marathon distance of 42.195 kilometers, you have to complete the lap twice. The starting and finishing line is located for the second time at Mirabell Square, directly in front of Mirabell Palace. Enjoy the most beautiful sight on the historic center of Salzburg, a UNESCO world cultural heritage, from here! Hosea Kiprotich-Rutto from Kenya in 2:17:49 and Hungarian Olympian Tünde Szabo in 2:54:06 were the winners of Salzburg Marathon in Austria. Rutto led an all-Kenyan podium in Mozart’s hometown with his compatriots Samuel Kamau-Njeri in 2:23:19 and Abraham Kipchirchir-Limo in 2:25:53 in second and third place. The women’s race produced a dramatic finish. Tünde Szabo came from behind to storm past long- time leader Pamela Chemurgor-Talam with only 400meters to go to the finish at “Mirabellplatz”. A visibly exhausted Chemurgor finished second in 2:55:14 ahead of Tatiana Mitkina, a Russian who lives in Germany, in 2:56:49. In total 6,457 runners from 70 countries have registered for one of the running events at the weekend, 998 of them for the full marathon. Temperatures of 11°C and dry conditions in the first 2:45 hours of the race provided favorable circumstances while the wind was a chal- lenging factor in parts of the course. 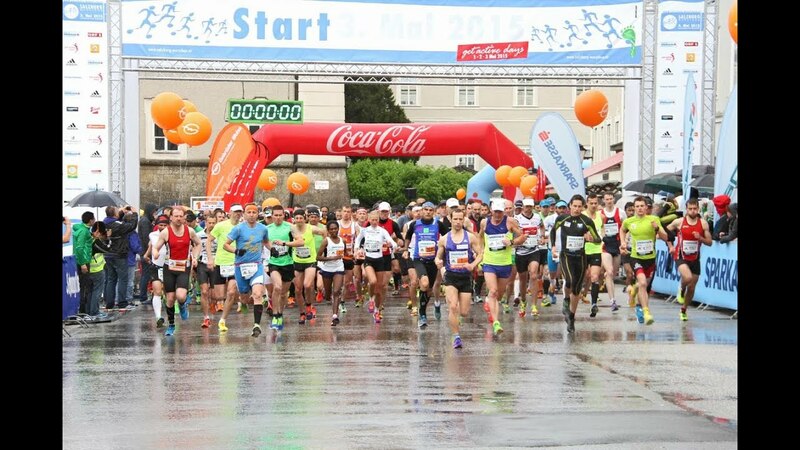 The Salzburg Marathon has been certified as a 5-star quality road race by European Athletics. The women’s pre-race favorite Pamela Chemurgor-Talam seemed to live up to the expectations. She went into the lead right from the start and covered the first half in 1:17:26. At that point she was almost six minutes faster than Tunde Szabo who ran her race in second position. Chemurgor suffered badly in the final stages of her first marathon outside Kenya. Szabo came closer and closer. The 28 year old marathon Olympian at Rio 2016 edged the leading Kenyan on the final stretch and celebrated another marathon victory after having won the marathons in Verona 2016 as well as in Cluj and Radenci 2014. Half marathon wins went to Filmon Abraham, a Germany-based runner from Eritrea, in 1:06:34 in his debut at the distance and Austrian Conny Köpper in 1:22:54. 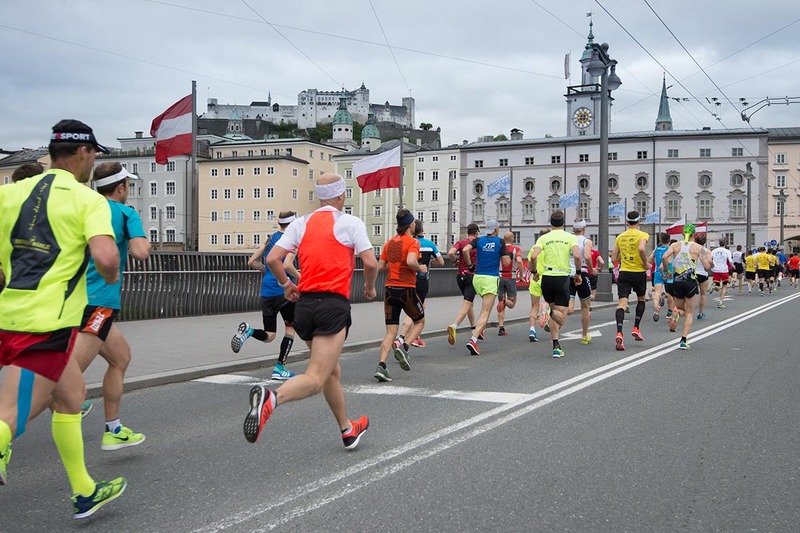 The 10k race was dominated by Mustafe Abdilaahi in 32:07, a Somalian who lives in Salzburg since 2014. Marika Rubino from Italy won the female category in 39:24.